Embroidered 7th Army Patch "Seven Steps To Hell". Iron on or sew on. 4" wide x 2.6" high. 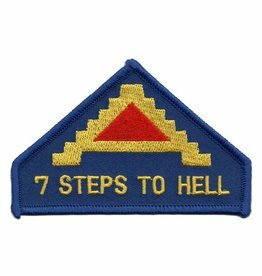 Embroidered 7th Army Patch "Seven Steps To Hell"